A family has realized God’s presence in every moment of their lives, from their everyday routine, to their time of significant loss. 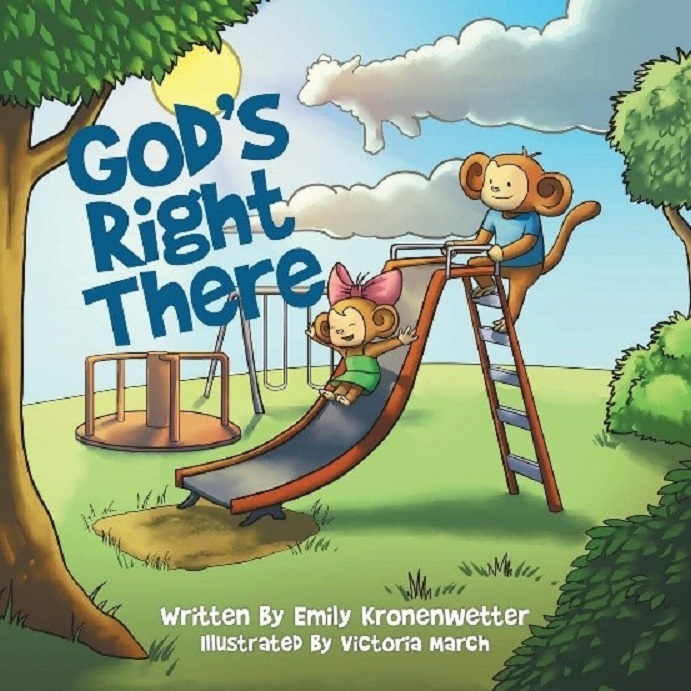 A Christian, mother, wife, school teacher and now author, Emily Kronenwetter shares her family’s journey in a 24-page children’s book illustrated by Victoria March. At just eight-months-old, Kronenwetter’s daughter was diagnosed with a rare brain tumor. After emergency surgery, months of therapy and prayer, the Kronenwetter’s received optimistic test results from Kinsley’s doctors, and they were excited to begin 2018 with the highest hopes. However, just two days after Kronenwetter gave birth to her second child, Kipton, her first-born went to an urgent clinic for a fever and she never came back home. Kronenwetter originally planned to have her book illustrated and published for just family until they realized it may help others through their time of loss. Her book is available for purchase through Amazon, Barnes & Noble or WestBow Press. She graduated with a Bachelor’s degree in early childhood and special education from Westminster College. She teaches in Clearfield and journals her family’s journey through child loss on her blog, Grace Through Grief. She currently resides in St. Marys with her husband and sons. March graduated with a Bachelor’s degree in digital media arts-animation from Huntington University. She currently resides in Indianapolis, Ind., where she works as a concept designer at Creative Works Inc.
March also does illustrations for children’s books, games and murals. To see more of her work, visit victoriamarch.artstation.com.